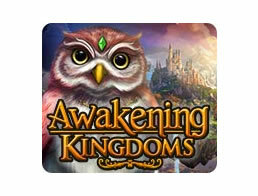 Awakening: Kingdoms (pc) - Rebuild the ruined floating kingdom! Awakening: Moonfell Wood (pc) - Help Sophia by unlocking the secrets of this enchanting world! Awakening: The Dreamless Castle (pc) - Can you solve all the puzzles to help Sophia escape the castle? Awakening: The Goblin Kingdom (pc) - Help the princess save her people!